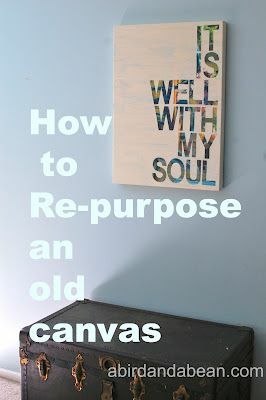 Place a piece of carbon paper face down on the canvas, place your paper with your lettering on top, and tape it down. Make sure your tape the paper in the position you’d like the lettering- use a ruler to make sure it’s centered. With the chacopaper slipped under your paper, use a pen to trace the outline of each letter. You need to press firmly. After my first 5 letters, I realized it would work better with a book under the canvas. It was easier to get the pressure needed to transfer the outline onto the canvas. You can see in this image how light the first letters on the bottom are.